To celebrate, organise your own Freerice Birthday Challenge online or in your community, school, workplace or home. Then submit it to be included in our time map on Facebook events. Your challenge can run for 5 minutes, 5 hours or 5 days - it's up to you! 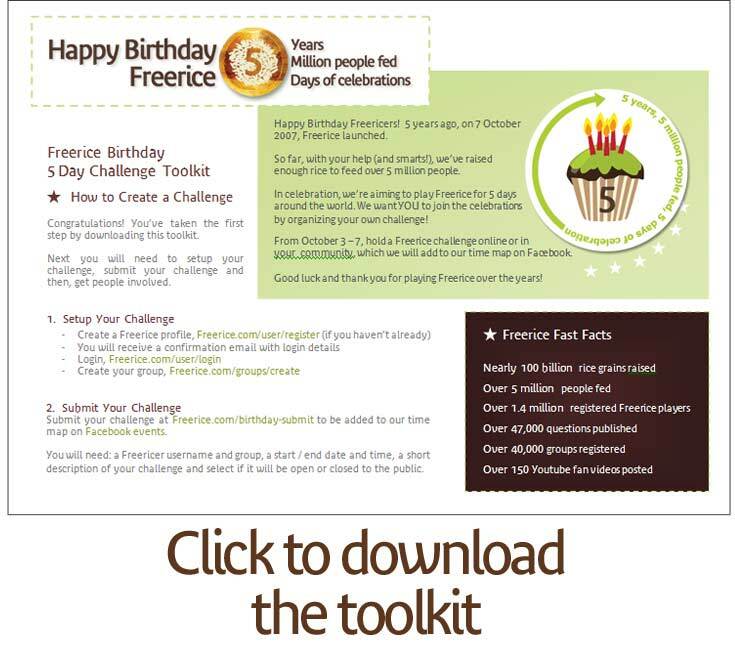 To help you plan the challenge, download the Freerice Birthday Challenge Toolkit. It's packed full of information, tools and tips for setting up a rip-roaringly successful challenge! 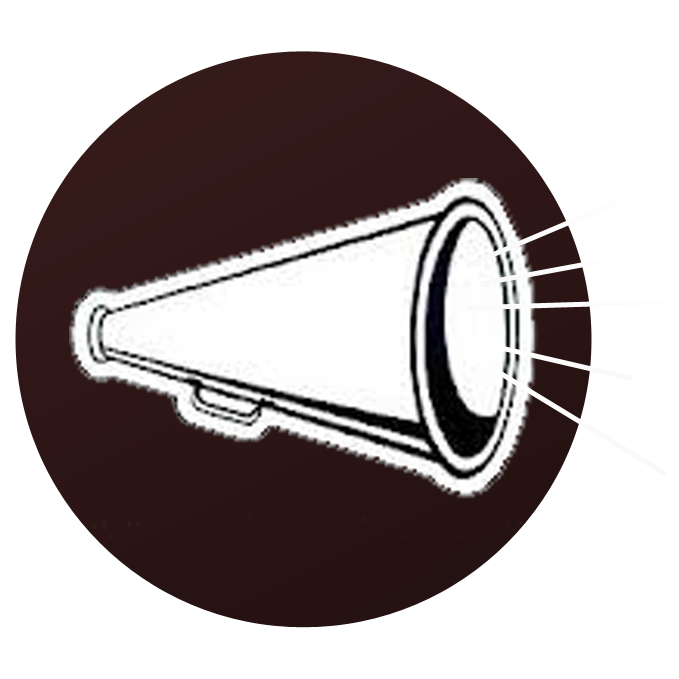 Grab a banner below: To place a banner on your blog or website: Pick the size that's right for your site, highlight the banner's code, copy, choose area on your site to display the banner, and paste the code into the HTML version. Our award winning site was created by John Breen (a Harvard professor passionate about fighting world hunger) as a learning tool for his kids’ college entrance exams in 2007. 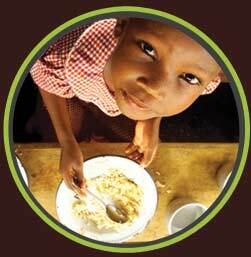 He donated it to the World Food Programme in 2009.